Taking a break and getting away to the lake is just one of those things that always feels great. 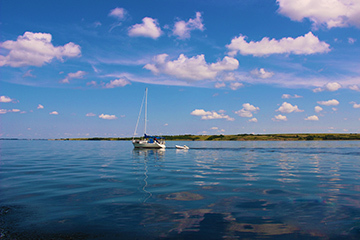 Whether you’re looking for a shot of adrenaline on a pair of water-skis a wakeboard, or a relaxing toe-dipping day on the beach you’re going to find that Lake Diefenbaker has all the qualities to make for a perfect lake vacation. It’s a very big lake with almost 800km of shoreline and there’s a lot to see and do both on and off the water. Covering an area of 6,000 wetland acres and 800 upland acres, the Luck Lake Heritage Marsh provides excellent opportunities to view wildlife. In fact, more than 200 species of migratory birds and 35 species of butterflies have been observed in the area, along with numerous other bird and animal species. There are four key points of access to the area. The west dyke, which bisects the main wetland and is suitable for vehicle traffic, can be accessed from the N by travelling 9.6km W of the hamlet of Birsay on Grid Rd 646 and 1.5km S to the dyke. Please note that northern access is restricted between early Aug and the end of harvest to allow for the operation of the waterfowl feeding pad. To access the W dyke from the S, travel 7.4km SW of Birsay on Grid Hwy 45 to the former village of Tullis. Continue 2.4km W along the seasonal road, and another 2km NW to the dyke road, where a display map and dedication site is located. To access the eastern-most basin of the marsh, travel 4.8km W of Birsay and 2km S. You may also access the other side of the eastern dike by continuing another 2km around the eastern edge of the marsh. The best time to view prairie waterfowl species is between mid-Apr and early Jun. Migrating shorebirds are common between mid-May and early Jun and again from mid-Jul to mid-Aug. The peak time to see large numbers of snow geese, sandhill cranes, tundra swans, and other migratory birds is between early Sep and mid-Oct.
Lucky Lake Campground: Lucky Lake campground is located in the Village of Lucky Lake. There are full hookups available. Please visit the contact page for more information. HITCHCOCK BAY: Situated within walking distance to the boat launch, this campground is well treed with serviced lots. PALLISER REGIONAL PARK: Located along Lake Diefenbaker, this campground is well treed with serviced lots and lots of attractions within walking distance. 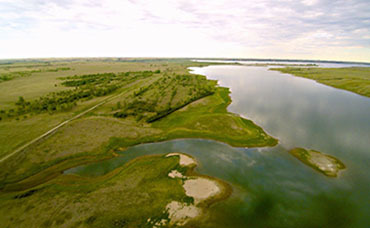 DANIELSON PROVINCIAL PARK: This park is also located along Lake Diefenbaker as well. It has many trees for privacy and shelter and has serviced lots as well. 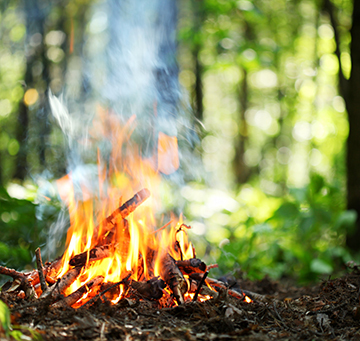 DOUGLAS PROVINCIAL PARK: This park, located just south of Danielson Provincial Park, offers numerous nature activities, trails as well as a well-treed area to camp! PRAIRIE LAKE REGIONAL PARK: This park is well treed, comes with serviced lots and lots of local attractions within walking distance. COTEAU LAKE: This park has well-treed campsites with serviced lots. There are tennis courts, mini golf and a golf course to providea choice of things to do. Lucky Lake is home to an abundant population of geese, partridge, and grouse as well as the largest Duck population in the continent. 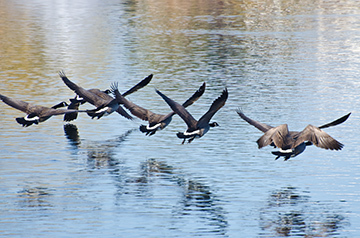 This area boasts some of North America’s most populated wildlife and waterfowl species. With this area providing exceptional waterwolf hunting each year, you can expect to leave the area feeling satisfied. 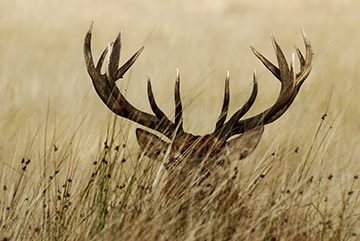 Besides hunting waterfowl, Lucky Lake and area provides an excellent opportunity for hunting Mule Deer, Moose and Whitetail Deer. Check out all of these opportunities in our area! 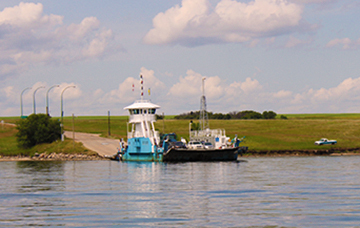 Riverhurst Ferry is a popular attraction among many traveling to the area. 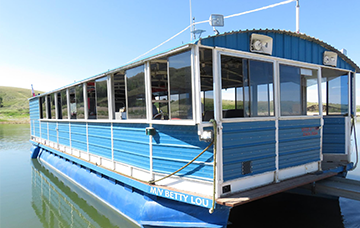 This ferry runs 24 hours a 7 days a week and is the highway for numerous people who travel across the lake for work, farming, recreation, as well as travellers going through the area. This busy ferry is full most summers, trying to keep up with the ever growing tourism in the area. Once late fall comes around, the ferry shuts down as the ice begins to freeze over. Once the ice reaches a certain thickness, Lake Diefenbaker (and this spot especially) becomes an ice road. 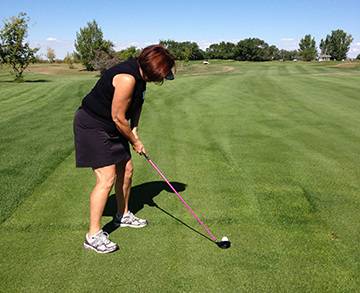 NORM COOK GOLF COURSE: Prairie grass & artificial grass greens new in 2013 9 hole family golf course. Former golf committee has disbanded and the resort is currently looking for volunteers to form a golf club committee. Contact one of the current board members if you would be willing to volunteer. Call us for weekly and weekend rates. Off-season pricing for August and September. Sandy Shores Resort is surrounded by Danielson Provincial Park. It is 1.5km from the Danielson Pavilion. The Danielson Park concrete boat launch is 1km away. Lots for Storage Facilities. Lots allow room for storage or buy a storage lot and build a shop to keep all of your toys!